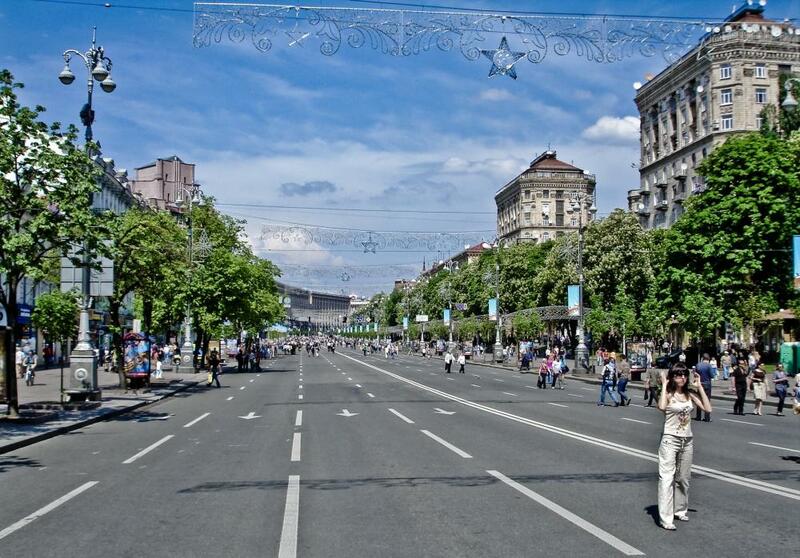 The main street of Kyiv is certainly Khreshchatyk and you’d better start your sightseeing there. The street is not very long but very impressive. Khreshchatyk looks especially beautiful in spring when chestnut trees are in blossom. The building of this street began at the end of the 18th century. The first houses were wooden. 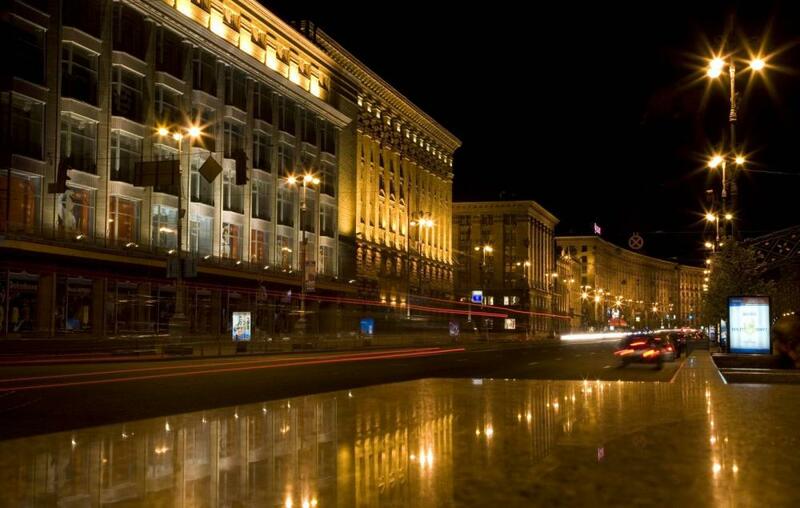 The forming of Khreshchatyk as a street began in the 1830s-40s. Three-storeyed buildings with shops, offices and banks were built at this time. In 1892 the first electric tram in the country connected Khreshchatyk with Podil. 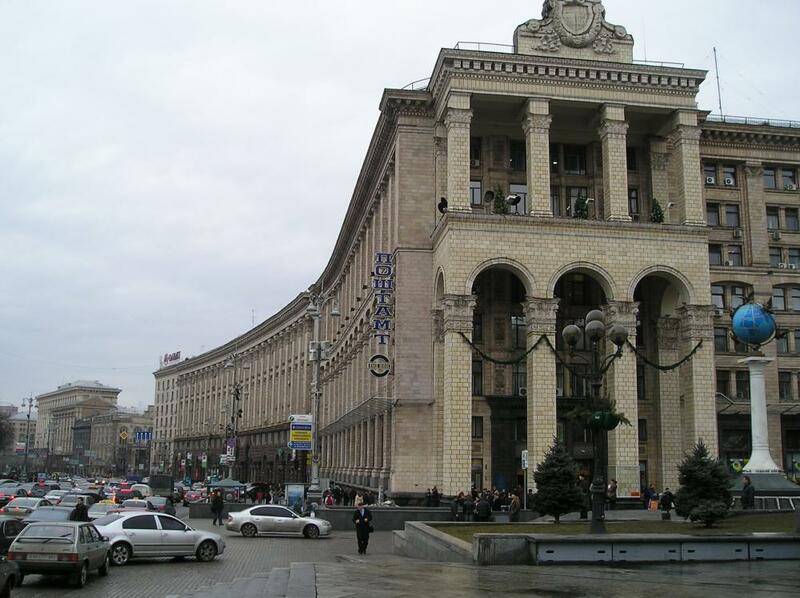 At the beginning of the 20th century Khreshchatyk became the shopping centre of the city. 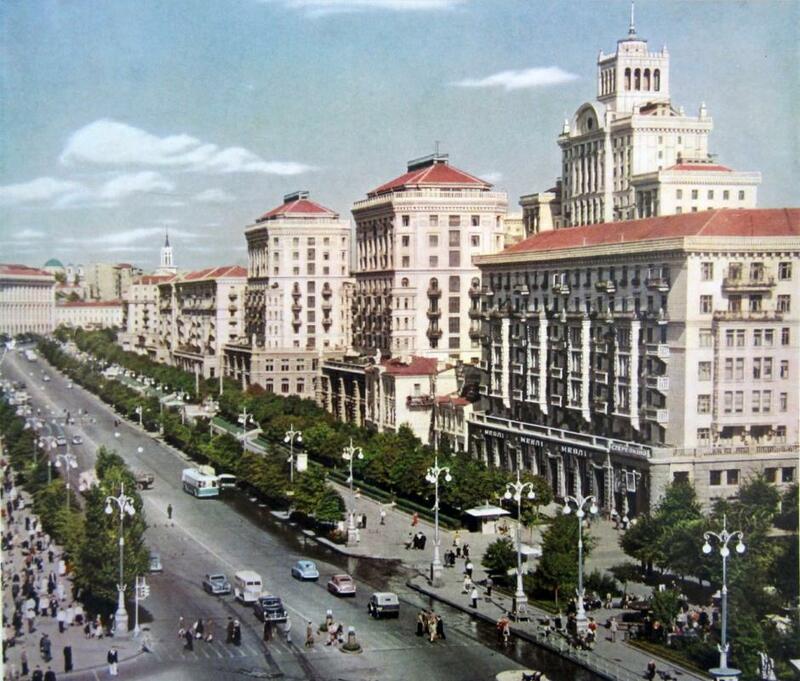 During the Second World War Khreshchatyk was destroyed. While being reconstructed the street was twice widened and a lot of new multistoreyed buildings appeared. All the buildings are built after the same architectural design. Beside government offices and administrative buildings, one can see cinemas, restaurants and cafes in this street. A lot of people go to Khreshchatyk every day. Some of them go shopping because there are many good shops and big markets there. Other people go to the cinema, look at the fountains or sit on the benches. 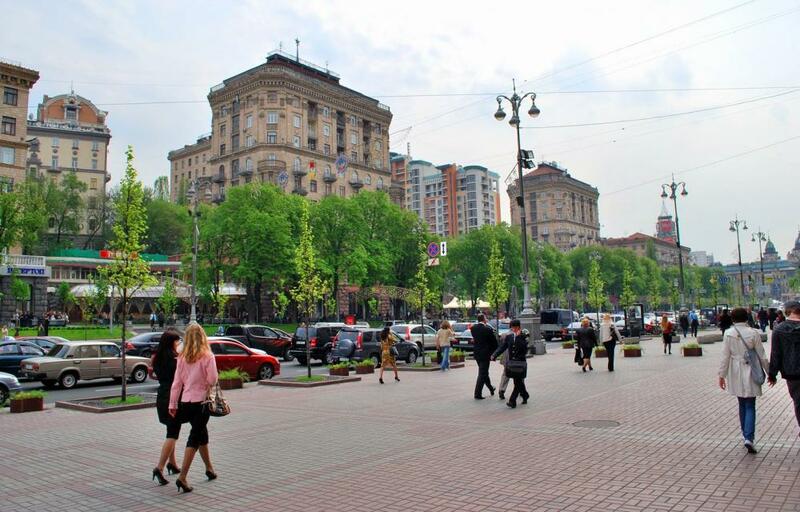 People like the main street of Kyiv. 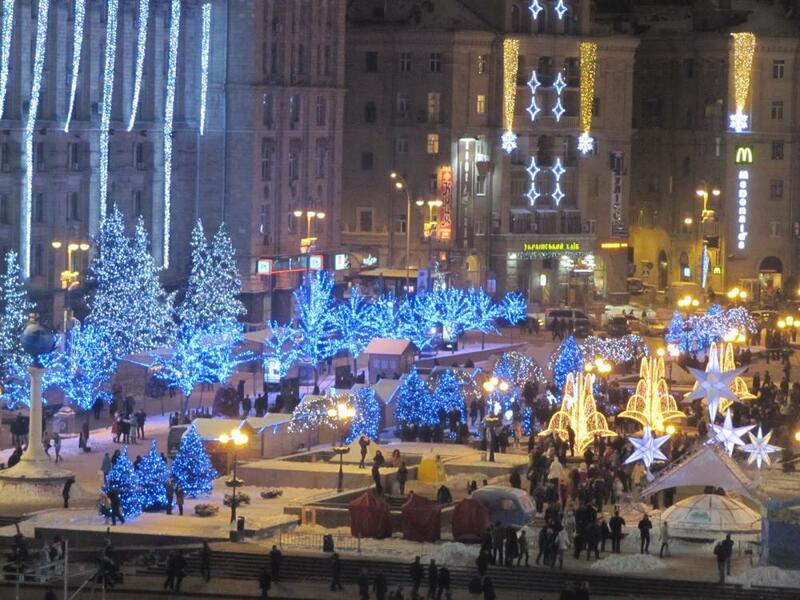 It is one of the places of interest in Kyiv. 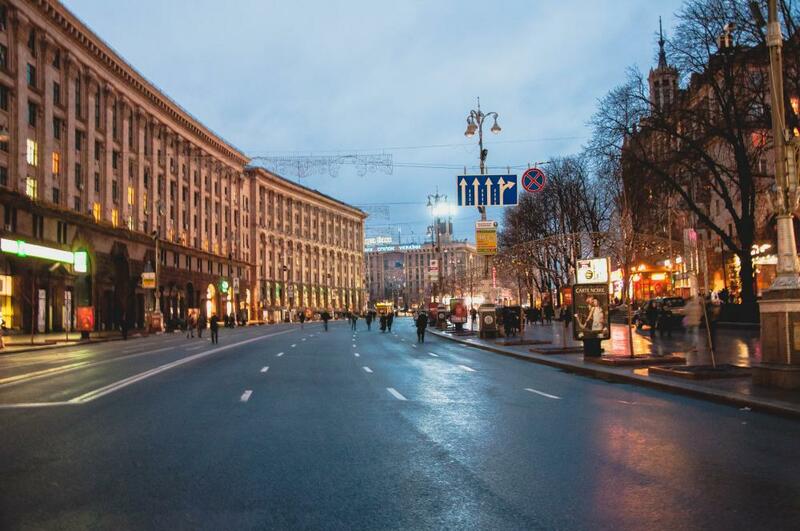 On the weekend Khreshchatyk street is closed for cars and public transport and crowds can enjoy a pleasant walk down the middle of the street.